This brazier is constructed of 19-gauge 18/8 stainless steel. Features two helper handles and includes a matching cover. 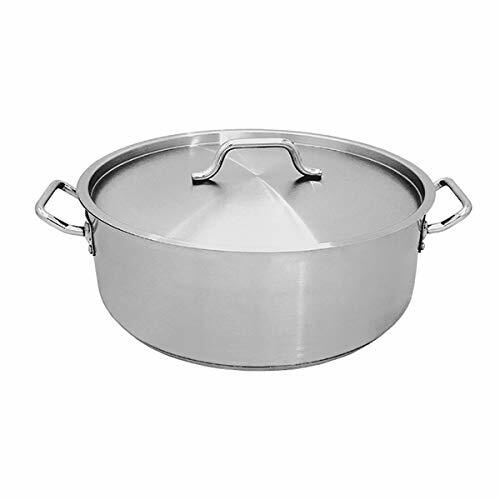 Its diameter makes the brazier excellent at reductions as well, as the wide surface will permit plenty of evaporation for a thicker, more flavorful sauce. It has capacity of 15-quart. Measures 15-inch diameter by 5-3/4-inch depth.